What is a network switch? 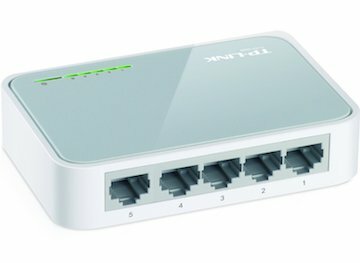 How do I set up my network switch? A network switch is to data jacks what headphone splitters are to long car rides with a friend. Sometimes you just need to share your music...or your network port. If you only have one data jack available, and it is already occupied by another device, we will provide a network switch, which looks like this. A network switch works just like headphone splitters and is just as easy to set up! 1. Plug the device into a power outlet using the included power adapter. This should make the green lights illuminate on the top of the switch (see image above). 2. Next, remove the Ethernet cable already plugged into your data jack in order to free up the jack. 3. Then, take another free Ethernet cable and connect the network switch to the data jack. Simply plug one end of the Ethernet cable into Port #5, and then connect the other end of the Ethernet cable to the data jack. 4. Then, take the free end of the Ethernet cable connected to the device that was formerly plugged into the data jack, and plug it into any of the ports (#1-4) on the network switch. 5. Lastly, connect the Ethernet equipment for the VaxHub, as shown in the picture below, and plug the free end of the Ethernet cable into the network switch as well. 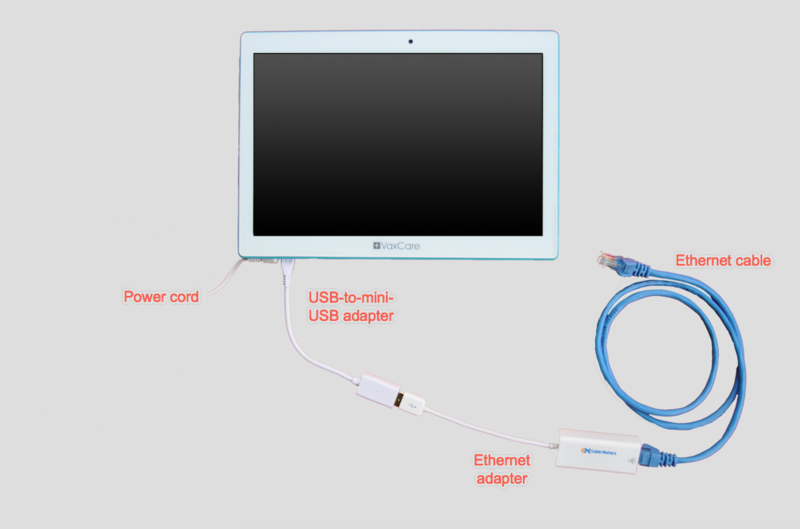 You should now have an internet connection to both of your devices (the VaxHub and whatever device was formerly occupying the data jack), and you even have two extra ports to spare!